BassPro Bionic Plus mulinello da casting per black bass e lurefishing in genere con manovella a sinistra dal fantastico rapporto qualità prezzo. Leggero, e molto palmabile, questo mulinello da casting è fluido, ed è dotato di freno meccanico con aggiustamento micrometrico. 5 cuscinetti a sfera + 1 a rulli, pomelli in gomma morbida 3d. Look accattivante. With multiple gear ratio choices and our advanced DBS dual braking system, the Bass Pro Shops ® Bionic Plus™ Low-Profile Baitcast Reel series covers all the bases for a wide range of techniques. 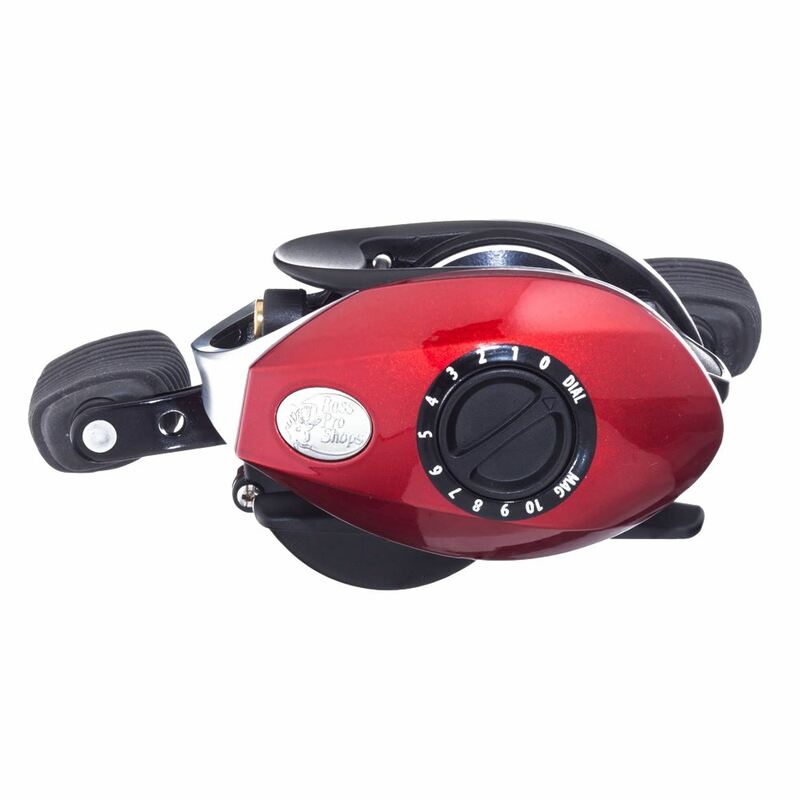 Every component of this easy-to-handle, palmable reel is designed to contribute to your fishing success! Those handsome graphite side covers aren't just there to look good—they're all about durability, and working with the sturdy aluminum frame to keep the internals aligned and running smooth. The double-anodized forged aluminum spool is both light and durable, and supported by a quality 6-bearing system that includes our proven Bass Pro Shops Powerlock™ instant anti-reverse technology. Targeting big fish? You'll definitely appreciate the extra crankin' power that comes with our recurve handle design. And our exclusive, externally adjustable DBS dual braking system applies both magnetic and centrifugal technologies to manage every cast according to your preferred settings. Ready to have some fun? 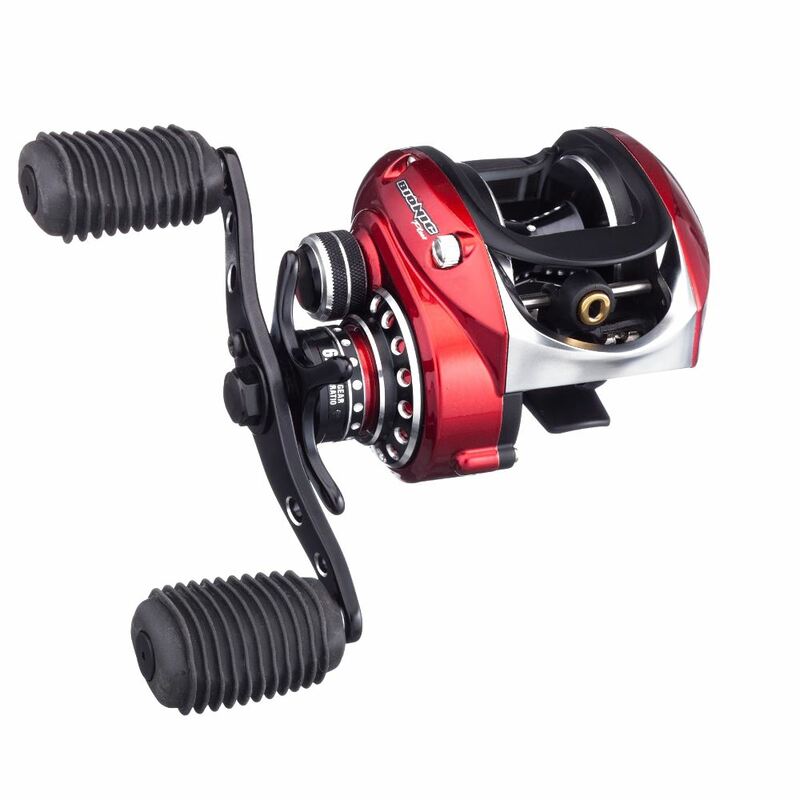 Simply select the gear ratio that best fits your style, and get casting!